As frosty February draws in, the cold conditions make us long for the glow of spring and the arrival of those endless summer days in the garden. 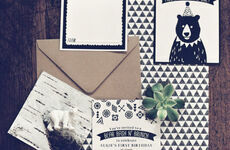 Our cute collection of Adventure & Explorer birthday invitations is the answer to all your questions. 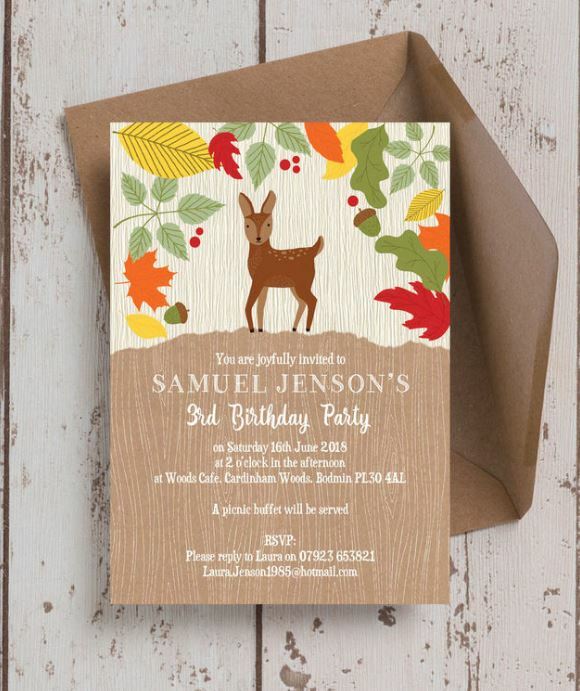 So if your little ones love running through woodlands, investigating the undergrowth for creepy crawlies and enjoying the camping lifestyle, here are some children’s party invitations inspired by the natural world. 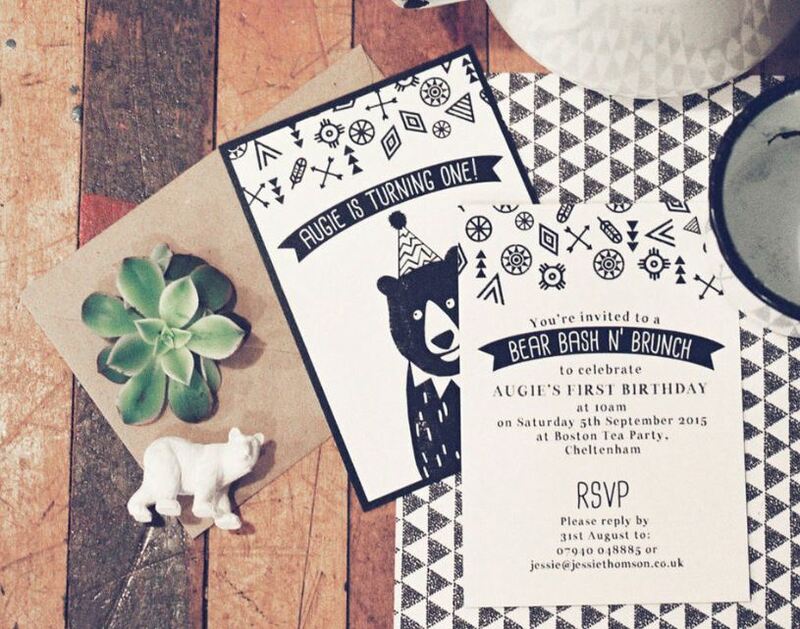 No party dresses needed here - it's time to don the wellies! 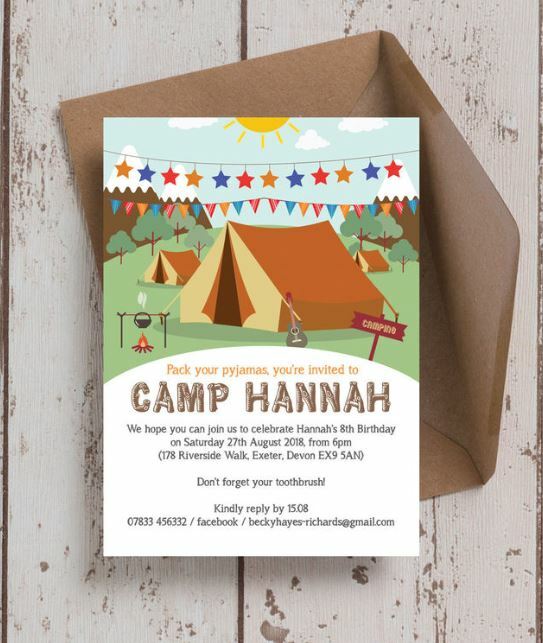 There are now a number of small businesses that now offer school parties set in the forest, packed with fun AND educational crafts and outdoor pursuits... 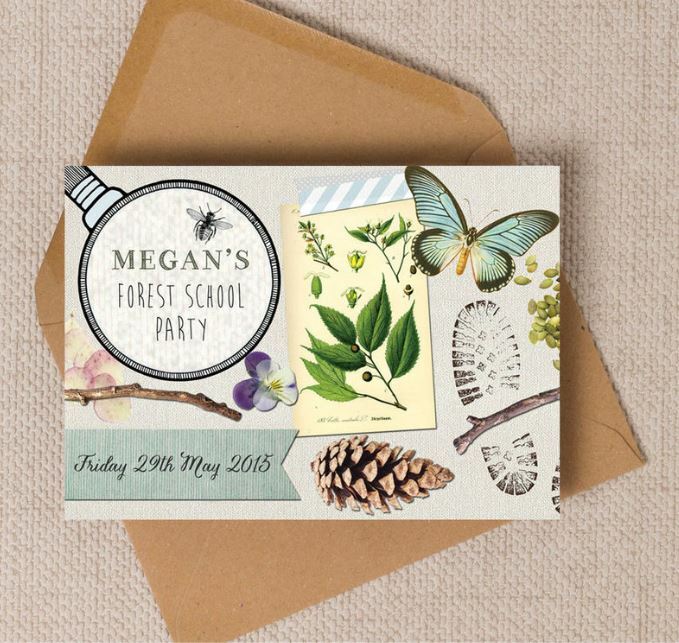 So match your stationery with your outdoor adventure with a little help from this Forest School & Nature Trail party invitation. 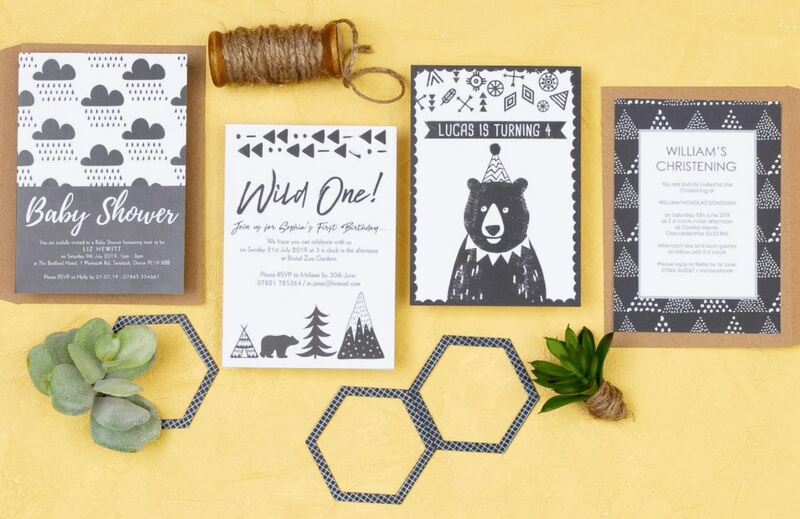 If your son or daughter loves playing outside and letting their imagination run wild, this adorable grizzly bear inspired personalised party invitation is just for you! 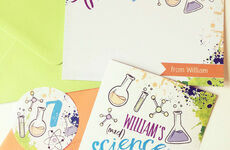 Available as a digital and printable PDF for you to download yourself, or take the hassle out of your party prep and let us take care of the printing for you. 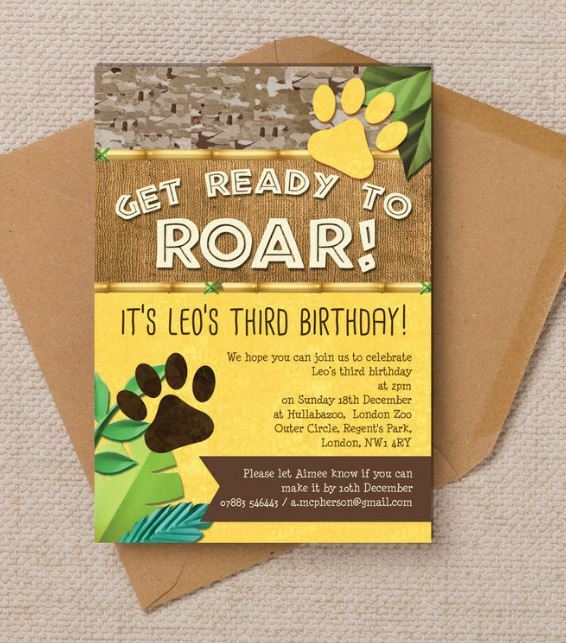 If you’re planning to transport partygoers to the rainforest, then these roarsome lion party invitations will set the tone perfectly. From the jungle to the desert! 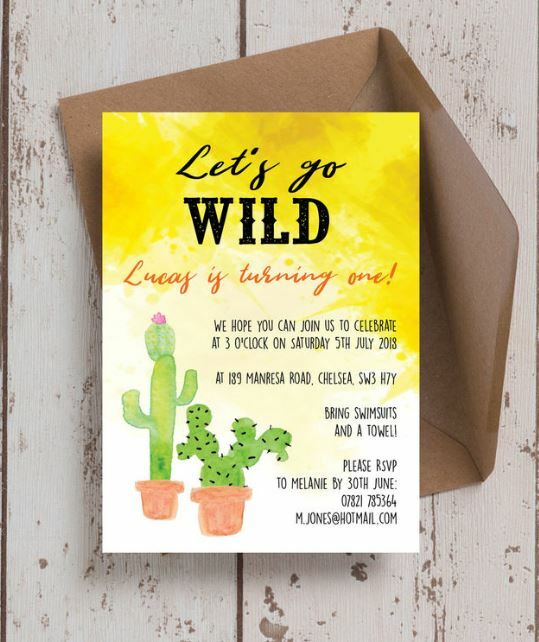 Watch out for those scorpions on your next adventure with this cactus-themed birthday party! 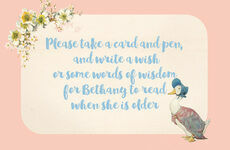 These invites can be personalised with your own wording on our website for an additional personal touch. 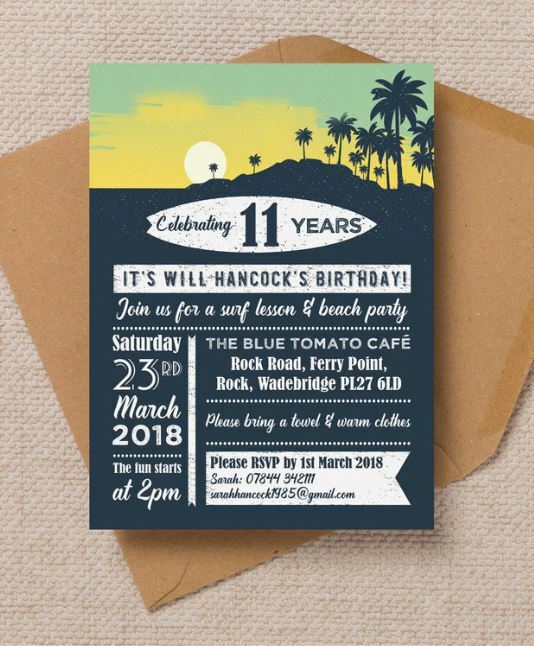 Perfect for older kids and teens - if a beach adventure and BBQ is their kind of thing, then get your hands on a few surfing themed invitations.